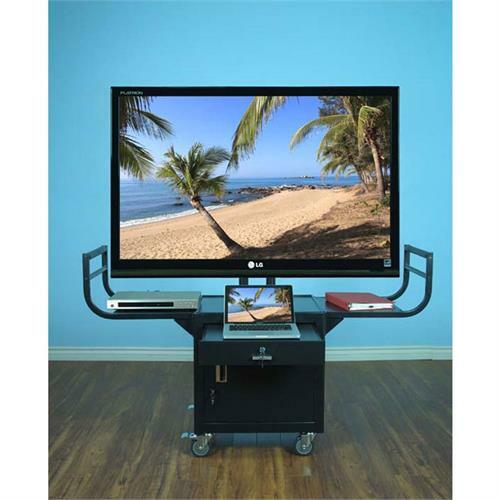 More on the VTI Audio Video Cart with 65 inch TV Mount and Locking Cabinet (Black) 10235 below. Call a VTI AV rack specialist at 1-800-807-1477. The VFI 10235 is a unique and stylish mobile Audio Video Cart that can support most Flat Panel Displays up to 65 inches. 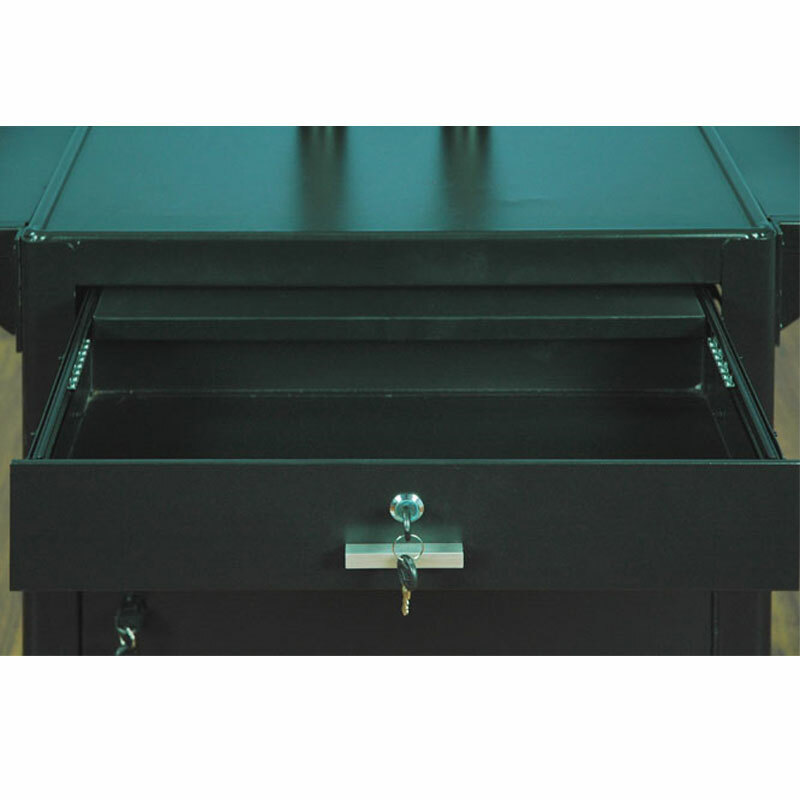 Locking Cabinet and Drawer offer secure storage areas. 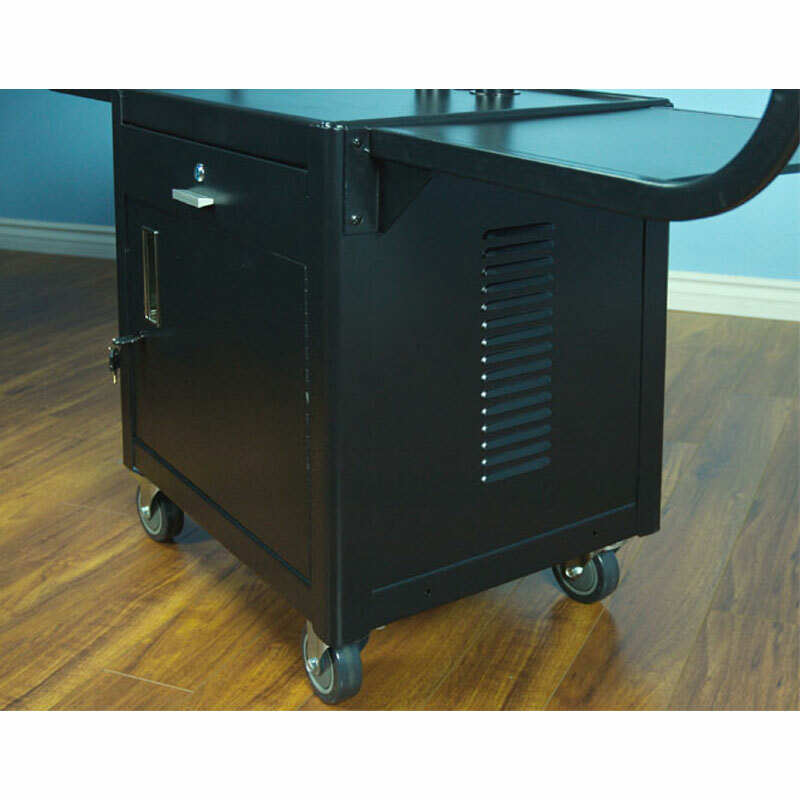 This A/V Cart is great for a variety of uses, such as in Schools, Boardrooms, Hospitals, and Business Settings. 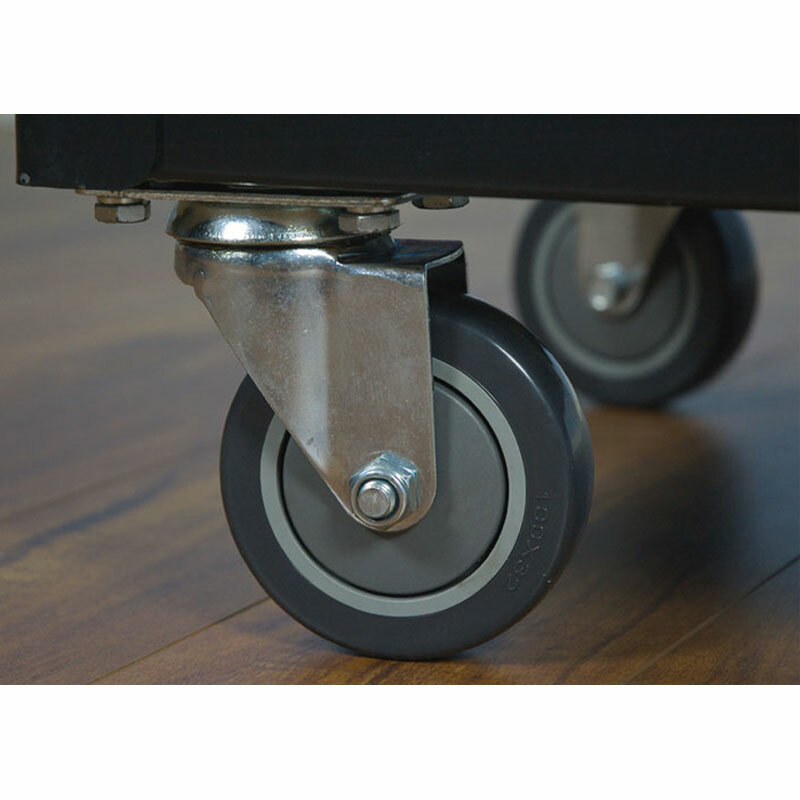 Durable steel construction in powder paint finish. Attached TV Mount can support most Flat Panel TV Displays up to 65 inches. Locking cabinet for equipment when not in use and/or valuables. Locked drawer with pull-out shelf. Universal twin post mounting design for stability and easy mounting. 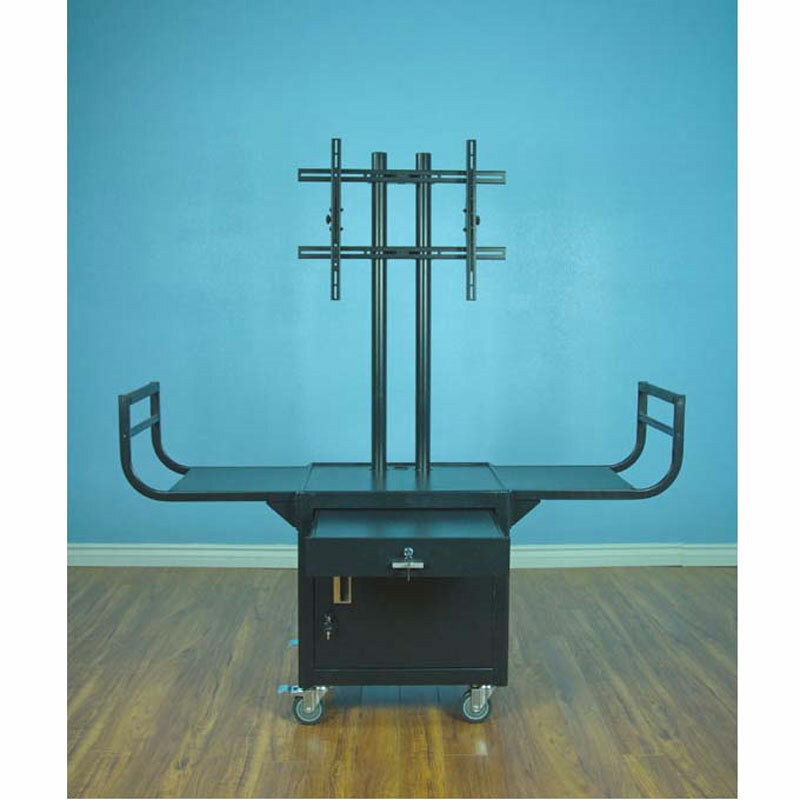 Equipped 3-in-1 handles: easy movement, TV screen protection, extra large and wide top shelf for presentation equipment or materials. 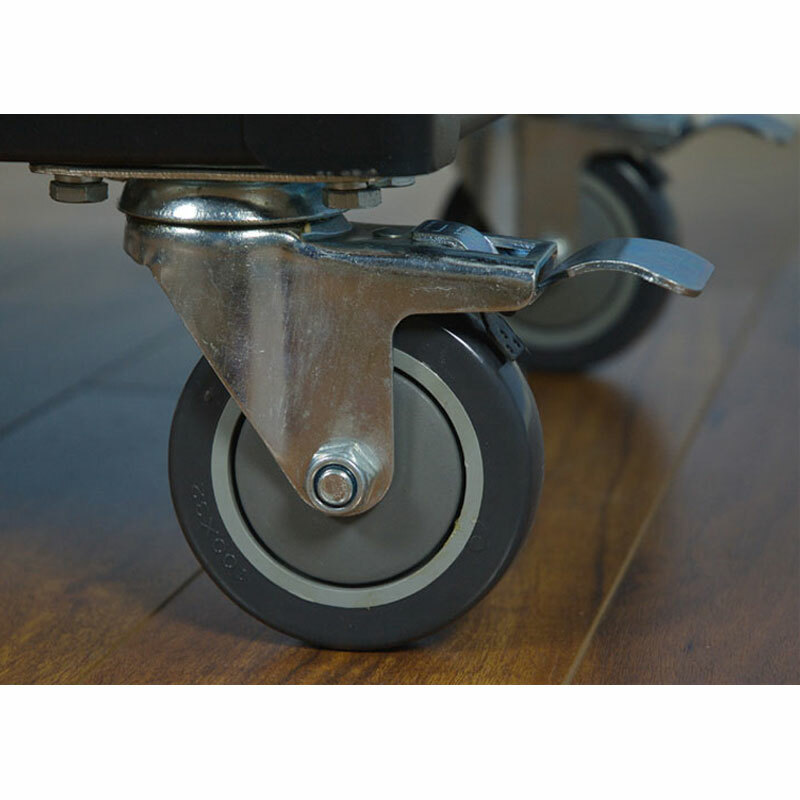 Equipped with swivel casters for easy mobility (two with lock). 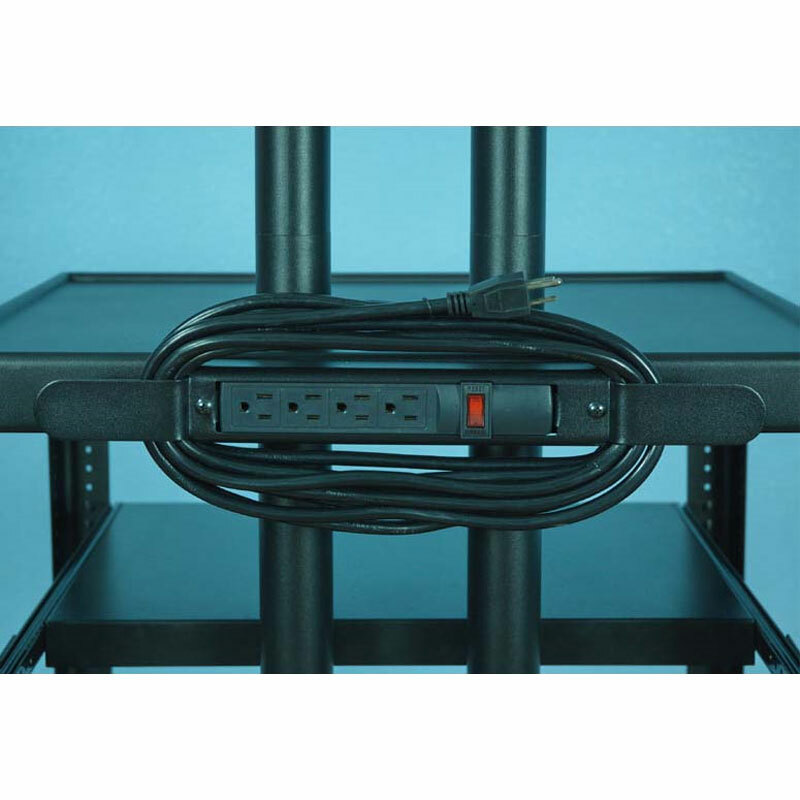 Comes with UL listed/CUL approved 15' cord, 4-outlet power strip with surge protector, and cord winder. TV and other electronics not included.